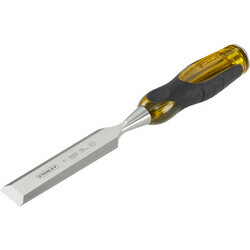 Invest in a high-quality wood chisel to effectively chop corners, shave rough surfaces and cut mortises. 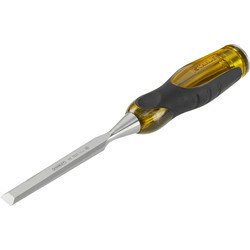 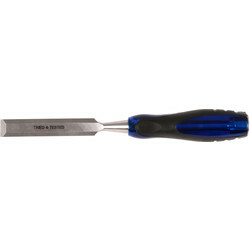 We stock individual wood chisels and wood chisel sets from trusted brands such as Silverline and Marples. 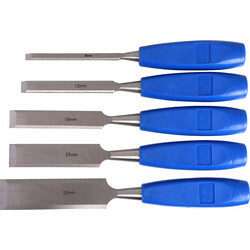 Find expert quality wood chisels with hardened steel bevel edged blades. 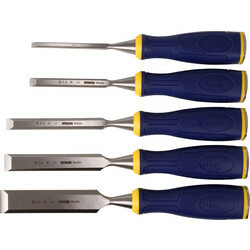 Wood chisels with cushion grips and 2 piece handles with steel striking caps. 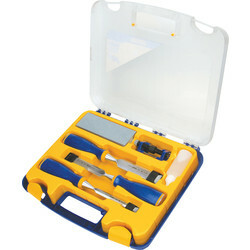 Supplied with blade guards. 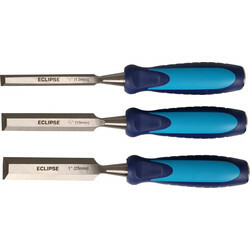 For projects requiring different applications, consider a wood chisel set with 5 to 3 wood chisels from carbon and chrome steel with ergonomic handles. The Marples wood chisel set is ideal for joinery and light commercial work and comes with 6, 10, 13, 19 & 25mm wood chisels. 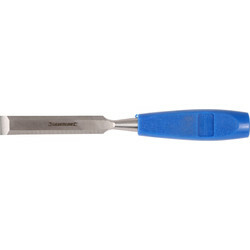 Click and collect from your closest branch or spend over £10 online for free delivery.